There are hobbies, and then there are lifelong obsessions. 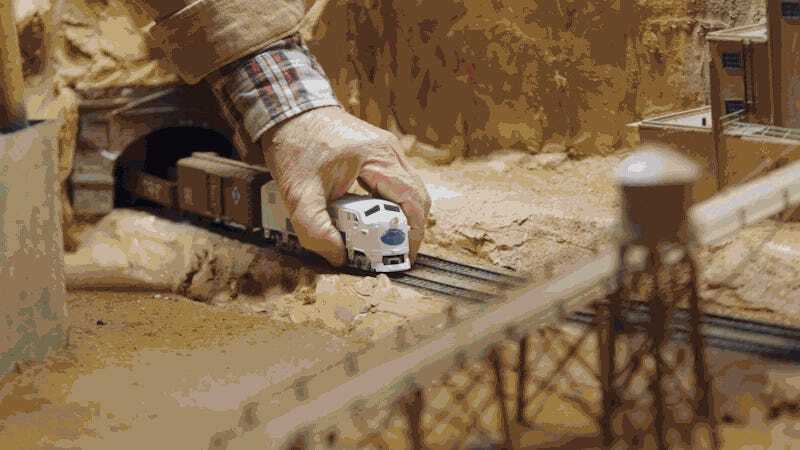 Andrew Wilcox’s short documentary Some Kind of Quest introduces us to Northlandz, an astonishingly detailed model-train installation that sprawls across 52,000 square feet—and to Bruce Zaccagnino, the man who dreamed it into reality. “As I decided to try to do this, everybody thought I was a total idiot,” he recalls. Clearly, those opinions didn’t deter this imaginative character one bit. You can actually go visit Northlandz (it’s in New Jersey; directions here), but this documentary, which features some awesome close-up shots of Zaccagnino’s miniature (yet surprisingly huge) world, is a good alternate for those who live far away.